We offer a highly personal service, with each carer developing a personal relationship with both animal and human clients. All carers are DBS checked, insured and most are animal first aid qualified. Dog boarding is a crucial service we offer dog owners as an alternative to kennels. Your dogs will have a stress free stay as part of a family. They will receive love, care and attention whilst the owner receives regular updates and photos. If your dog is with us for day care they will stay with of our carers in their home, getting all the affection and attention they would receive in their normal environment. 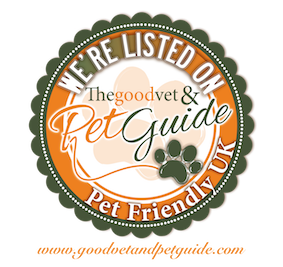 You will receive regular updates on how your dog is doing and be able to contact us with any fears you may have. Dog walks are arranged with you, we offer individual and group walks, with groups no larger than 4, so that there is dedicated attention given. Pet visits range from 30 minutes to 2 hours. These visits are very beneficial to cats, as they get highly stressed leaving their home environment, but still need daily attention, feeding and litter changes. We also offer visits for other animals such as small furries; guinea pigs, rabbits, hamsters etc. We are also fully insured and a member of NARPS. Each carer will look after your pet in their own home. "As we welcome our newest husband and wife team to the Scotty’s doggies team. We look forward to also taking some amazing photo of your pooch in the lovely Romford countryside. Jo’s massive garden backs onto a beautiful open field, and her lovely boy and two girls in the picture will make wonderful playmates. Jo has a long history as a dog owner and experience with all different breeds of dogs. She is going to make a great addition to our family of carers." "We are a mother and daughter team with 2 of our own young friendly dogs - a labradoodle/golden retriever cross and a miniature labradoodle. We have a garden for the dogs to play in and we live close to Hampstead Heath and Kenwood House for walks. All the dogs in our care get plenty of attention, cuddles and play. I like to send regular updates and photos to owners while their dogs are staying with us. We can also cater to special diets and administer medicines." "As an animal lover my entire life I have always wanted to work with animals, and have their health and well being as the number one priority. Working as a small team of dog sitter allows Scotty's Doggies to work so effectively for the pets and their owners"
Scottys Doggies offer a wide variety of services. But it is with our dog boarding that we are unique, we have home dog carers who look after your dog in their home. They all work for us and uphold our strict rules, we do regular home checks to ensure our standards are met. We are extremely flexible with drop off and collection times, and try to be as understanding and fair as possible in regard to our charging – there will be times though where a delay of more than a few hours will result in an additional charge. Note: A 20% deposit is required when making a booking, which is non-refundable in the event of a cancellation. The remaining balance MUST be paid prior to the commencement of the stay, and no refunds will be given for cancellations/early collections. Boarding is set on a day rate, overnight counts as 2 days. Drop off from 8.30 am and collection up until 6.30 pm. After 6.30 pm there is a surcharge of £3 per hour. Group walks are never larger than 4 dogs. Individual walks are for dogs that cannot be around other dogs. We offer our services of taking your pet to any appointments such as to the vets or for a groom. Starting at £20 - Please call for a quote. Mobile microchipping in your own home (dogs, cats and rabbits). £12 Each for 5 or more. £10 Each for 5 or more.